and open tabs across multiple devices. 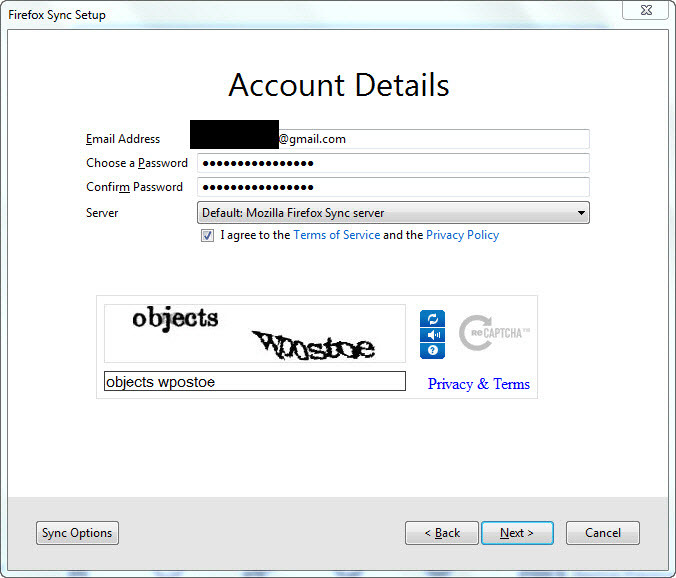 encrypts your data with a local key. 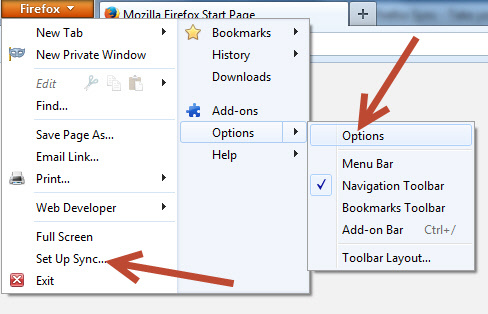 2.Click the firefox menu and select Options menu item or select Set Up Sync..
3.Then click the Sync pane and click the Set Up Firefox Sync link. 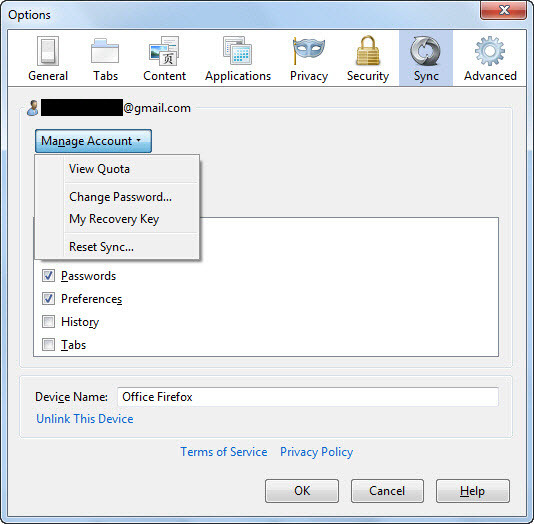 4.Click Create a New Account button. 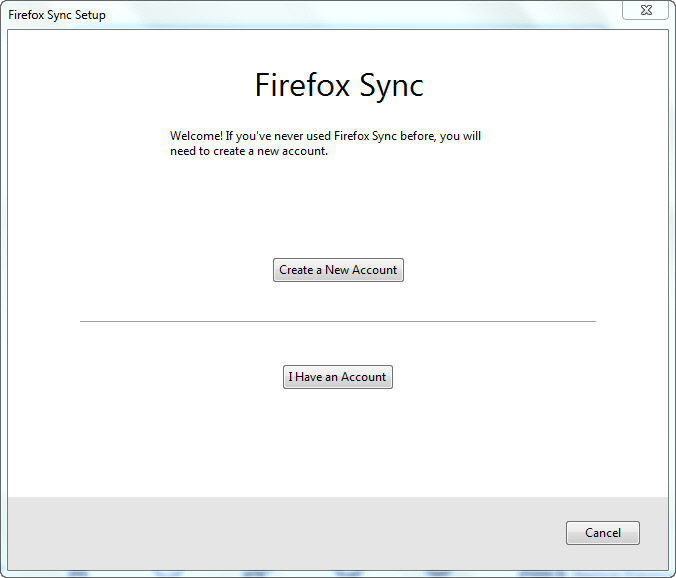 5.Fill all details and select Firefox Sync Server (or your own server) to store date. 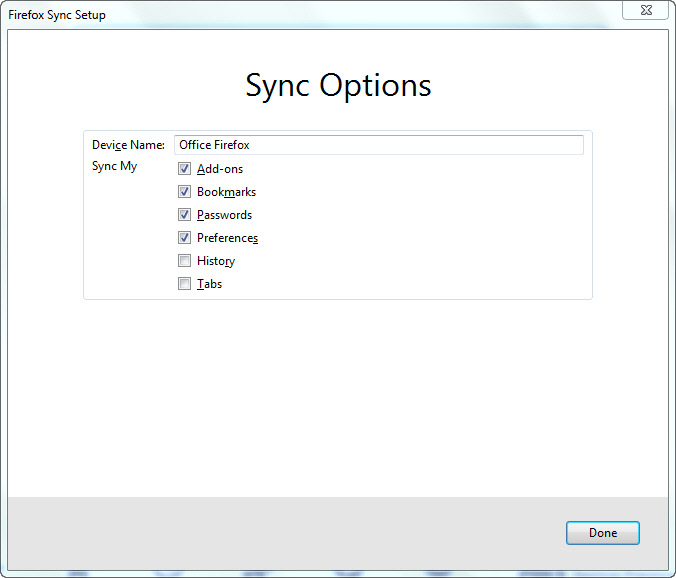 6.Click the Sync Options button to select the type of data. 7.click done and then Next. 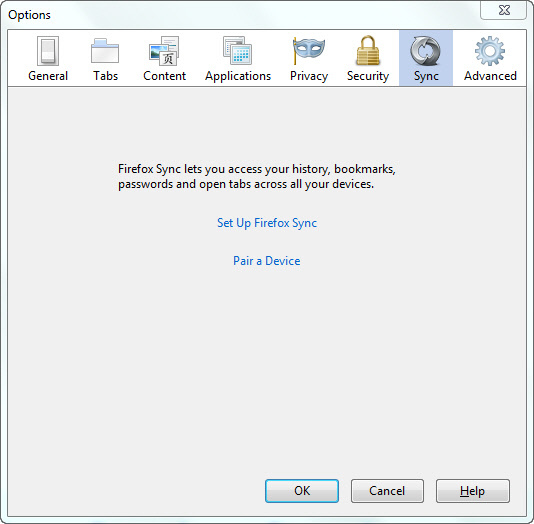 8.Open the Sync menu from options and save your recovery key.